For a sleeker look without sacrificing the WOW! comfort factor, try the closed-heel "Harley" by Klogs. 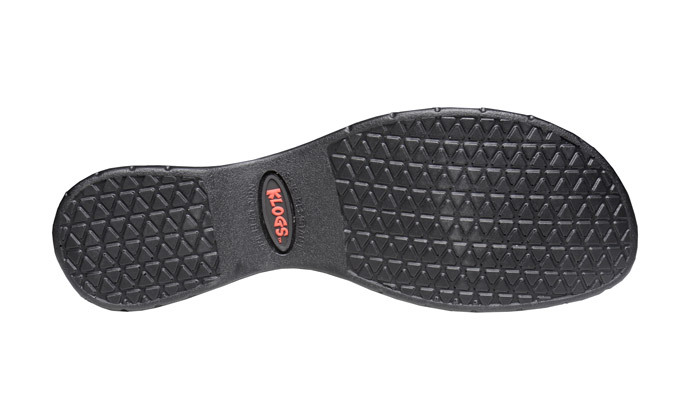 Its trim sole has the shock absorbing qualities of Klogs' proprietary polyurethane formula and an accommodating wide toe box. The lower profile leather uppers have attractive harness detailing and panels of elastic goring for a comfortable, secure fit at the ankle. The anti-microbial footbed can be removed to make room for orthotics. 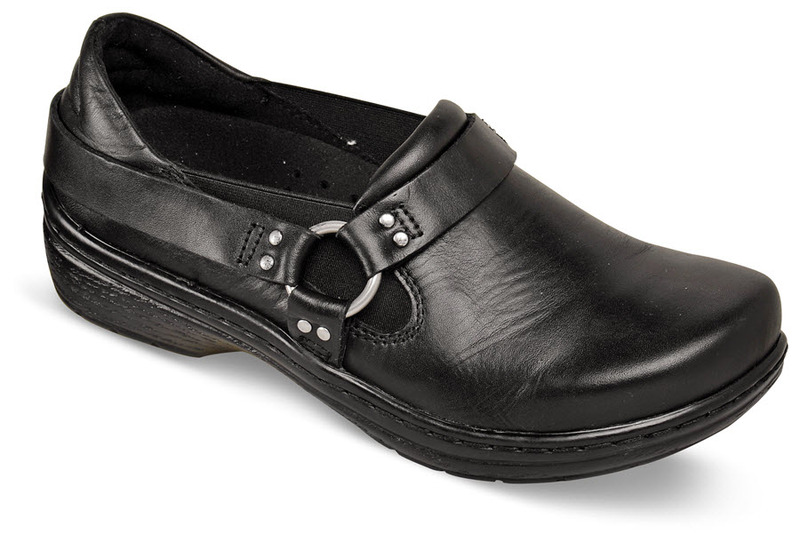 Slip-resistant, oil resistant PU sole. Originally $109.95. Just a few pairs left in women's extra-wide width in sizes indicated.